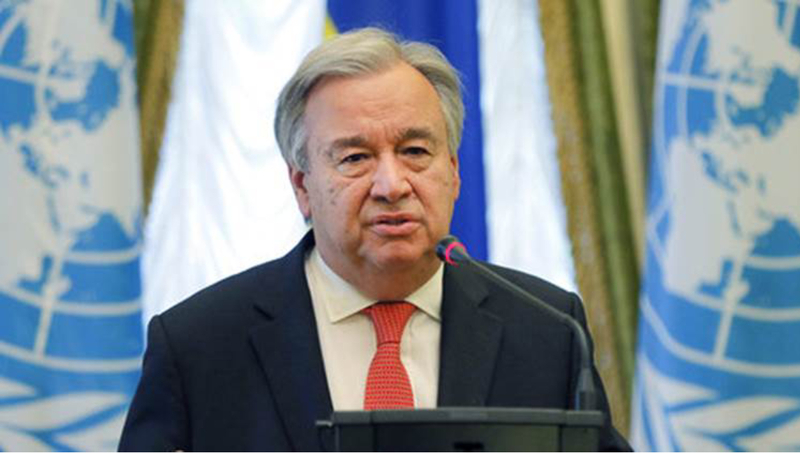 UN Secretary General Antonio Guterres has pointed out that Myanmar’s “too slow” efforts to ensure Rohingyas’ safe return to their place of origin in Rakhine making him frustrated enormously. “So, I feel an enormous frustration with the lack of progress in relation to Myanmar and with the suffering of the people,” he told reporters at a press conference at the UN headquarters in New York on Friday. The UN chief said his message has always been the same and it is absolutely essential to create the conditions of confidence and trust. “It's not only physical reconstruction; it's a matter of reconciliation of communities and strong commitment by the government for that reconciliation of communities to be possible and for the safety of the Rohingya population to be guaranteed,” said Guterres. Unfortunately, he said, the truth is that the situation on the ground has not been conducive to it and things have been too slow. “And one of the dramatic aspects when you fail in solving the root causes of a problem is that violence then tends to erupt again, and that's what we have seen recently in Myanmar,” said the UN chief. He said finding adequate solutions for the internally displaced would be a very good way to give credibility to the perspective of a future return. The UN chief said Bangladesh is a very important partner for the United Nations in relation to the Rohingya refugees. “We’re extremely grateful to Bangladesh for its generosity in hosting so many Rohingya refugees in the extremely difficult circumstances that exist and taking into account the problems and the difficulties of the Bangladeshi development in itself,” Guterres said.